The Finwing Penguin V2 Gear Wheel Package, which includes all three replacement wheels for the Finwing Penguin. 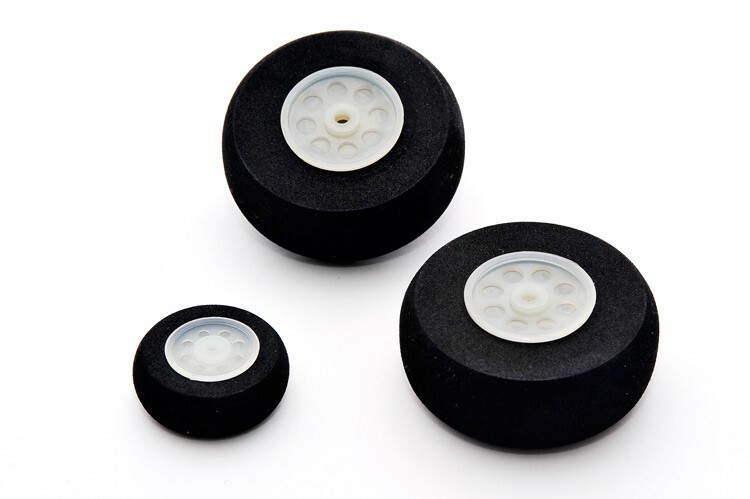 The wheels are made from a high density foam with a plastic hub. The Main Wheel diameter is 50mm, width is approx 18mm with a center hole size of approx 3mm, weight 9 grams. The Tail Wheel diameter is 30mm, width approx 10mm with a center hole size of approx 2mm, weight 3 grams.